I'm pleased to offer this new website as a valuable educational resource for ARCHICAD users. ARCHICADTutorials.com will provide a platform for ARCHICAD tutorials in the form of videos and articles by myself as well as other recognized experts from around the world. 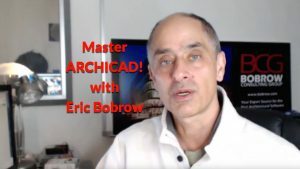 In addition to publishing new, original content, it will also feature classic tutorials collected from my ARCHICAD Tutorials YouTube channel, which for many years has been the leading independent source of ARCHICAD tutorials, currently with 24,000 subscribers and 3.5 million views. The transcripts will be searchable, so that it will be possible to find tutorials on specific topics (e.g. roofs, terrain, solid element operations, morphs, etc.) more easily. It will be possible to skim a transcript to find at what point in the video a demonstration or explanation may be found, saving time in terms of watching the most relevant part of the video. The transcripts will be converted into captions that can be turned on while watching the videos; this will aid users with language or hearing challenges. In the near future, a free membership program will allow us to post downloads and other useful resources to supplement the videos and articles. Please share your comments and questions below, and feel free to email me with your suggestions and ideas for how to make this site even more useful! good idea Eric. Do you plan to structure the videos under headings (walls, slabs,etc.,)? I’m using Arch21 and need more tutorials for the (not very intuitive!) stair tool. Hi Chris – I will be developing some methods to search through the videos for different topics or subjects. Right now it’s a bit early, with only 7 or 8 videos on the site. When we hit 20 or 30, I’ll do some organization to facilitate this. Regarding the AC21+ stair tool, I have a couple of videos on the subject on my YouTube channel, as well as a full training course that goes into detail. I’ll add in the stair tutorials soon so you can find them easily. 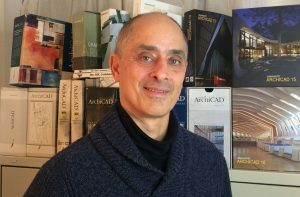 If you want a comprehensive resource to refer to, I suggest that you check out my new ARCHICAD Best Practices 2020 course and coaching program at https://bobrow.com/2020. It is the best, thank you Eric Bobrow.